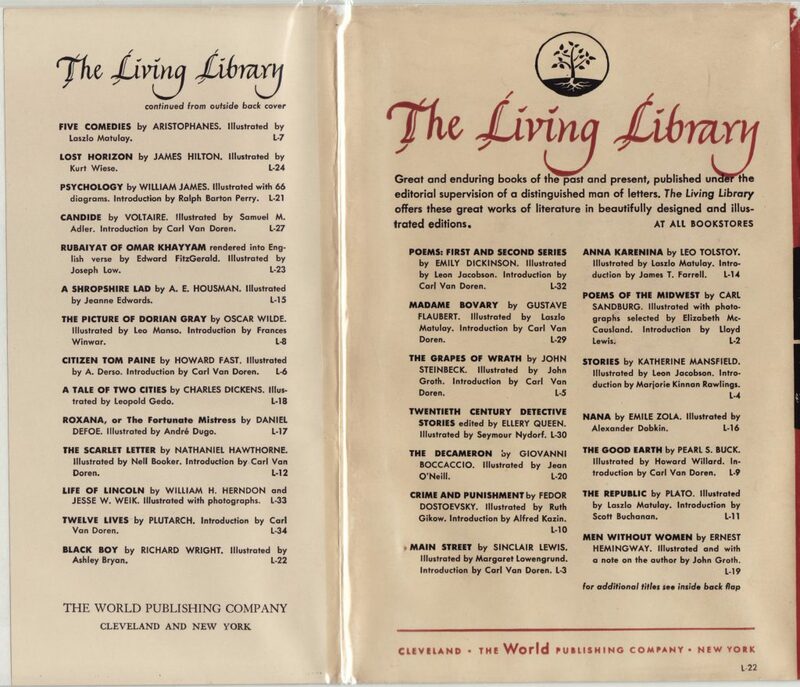 The Living Library series consisted of older and contemporary classics and was published by the World Publishing Co. of Cleveland, Ohio. The series was edited by Carl van Doren and designed by Abe Lerner. 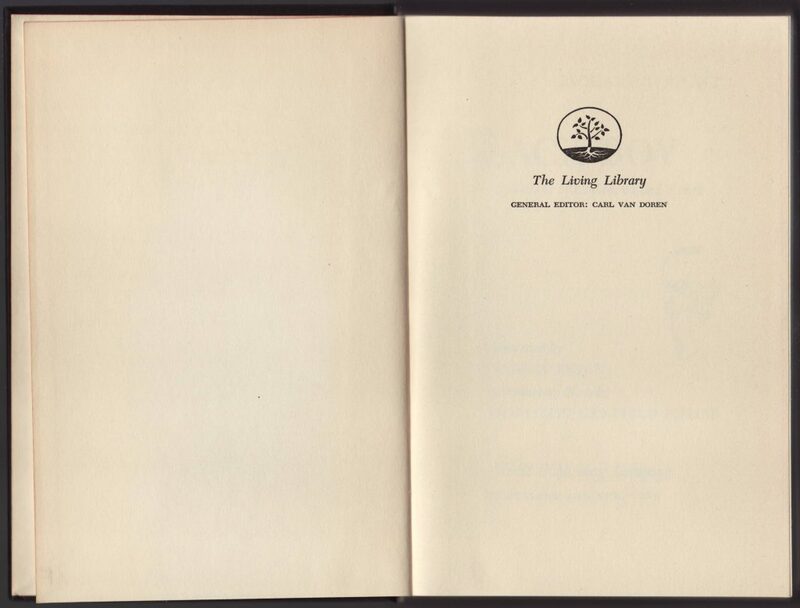 Most of the titles in the series were published in 1946-1949 with a few reprints through the mid-1960s. 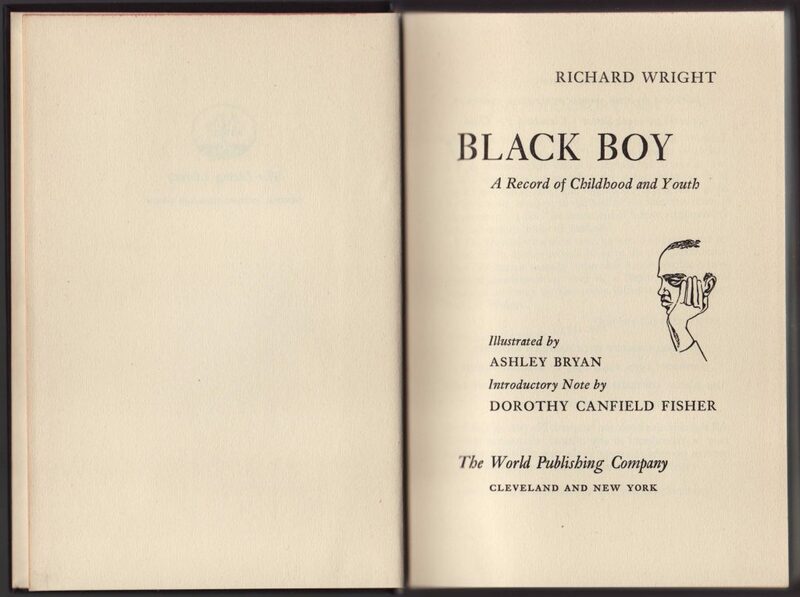 Richard Wright’s Black Boy was first published as #22 in the Living Library in 1950. 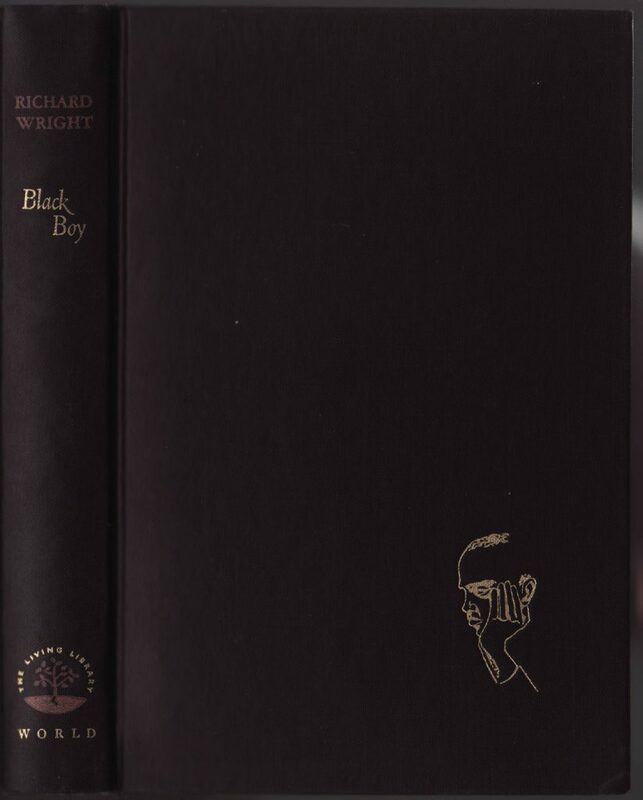 It is not clear if this is a 1950 or subsequent printing in the series. Jackets are unique to each title, with the series name on the jacket spine and bottom of the front of the jacket. A blurb for the title is on the front jacket flap. The price at this time was $1. Titles up to #34 are indicated on the jacket rear and back flap. The series added a few more titles beyond those shown on the lists below. The series number is shown at the bottom right of the rear of the jacket (L-22). Sewn cloth bindings with red and gold stamping. The series name is on the base of the spine. 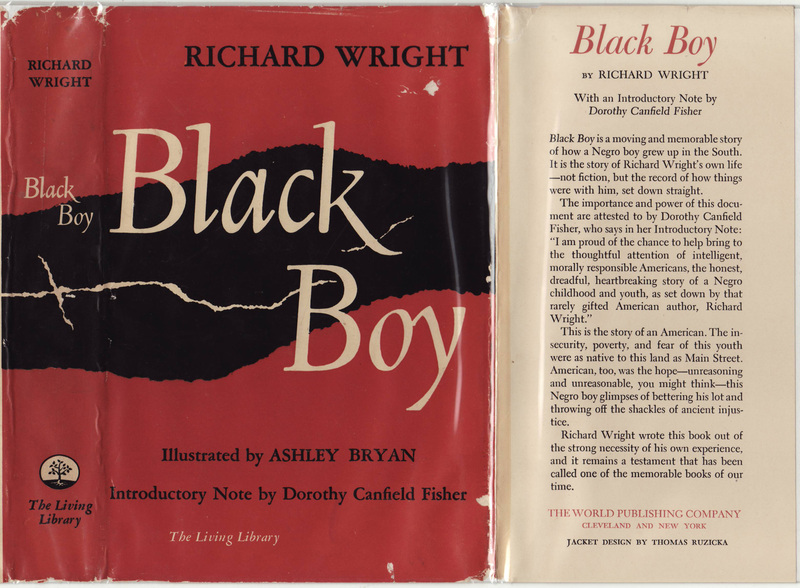 A graphic related to the title is on the bottom of the front cover. This is repeated on the title page. Half title page with the Living Library logo and mention of the general series editor, Carl van Doren. 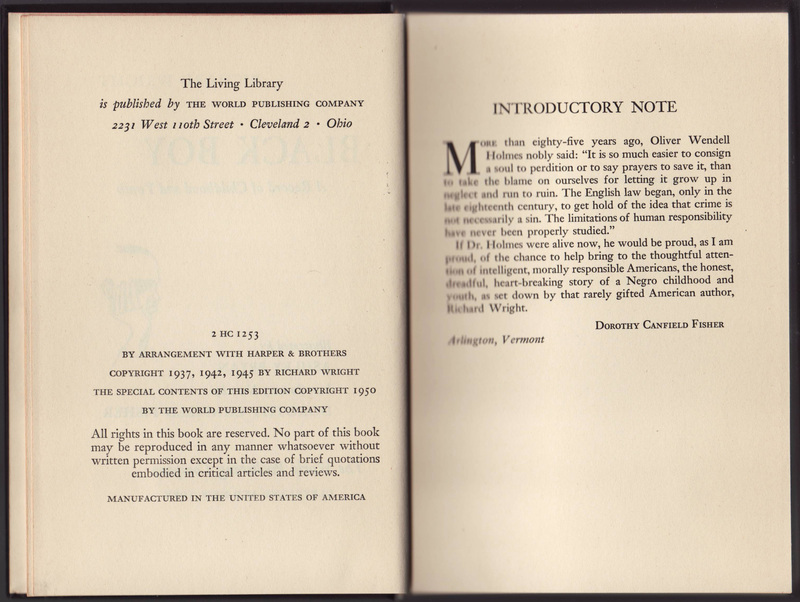 The title page includes the graphic from the front of the book. There are a few illustrations, by Ashley Bryan, scattered throughout the book.